DePaul’s Dining Services has undergone a drastic transformation as part of larger updates for the school year, much to the chagrin of students. The changes to Dining Services were approved and instituted by Chartwells, DePaul’s food provider in partnership with Facility Operations. All of the updates to DePaul were detailed in an email from Facility Operations. The email states that research for the updates was conducted during the 2017-18 school year. Students have described the changes as confusing and inconvenient. “Chartwells has worked closely with the Department of Housing and Student Services in creating this new dining program at DePaul and we are excited to introduce this to our students, faculty, staff and guests this year,” said James Lee, the resident district manager of Compass Group North America, which operates Chartwells. One of the most drastic updates to Dining Services concerns the meal plans for students living on the Lincoln Park campus. In years past, students would pay specific rates for different meal plans and money would be removed depending on the monetary value of items purchased, similar to a debit card. For this year, however, students with meal plans will be allowed a specific number of meals per quarter, depending on the meal plan they purchase. 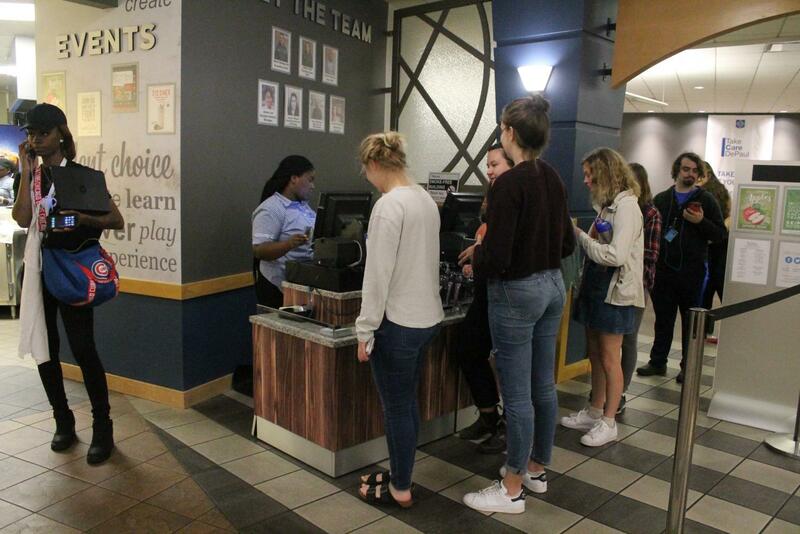 The new meal plan also grants students with Flex dollars, which are available to be used at campus cafes or other student areas to eat outside of the main dining hall, according to DePaul’s website. Flex dollars may also be used during school breaks and any unused Flex dollars will be removed at the end of the academic year. he end of the academic year. The changes to the meal plan have not been entirely well-received by DePaul students, with many criticizing the meal swipe initiative in DePaul Facebook groups. “The main issue isn’t the separation between swipes and Flex dollars, but rather the needless restrictions on what facilities [allow] swipes at what times,” Claxton said. The negative student response regarding the meal plan has led Costanzo to create a petition against the new format, as well as filming interviews with students to discuss the changes. Costanzo advertised both causes in the Official DePaul University Class of 2020 Facebook page, encouraging those who shared her feelings to contribute. Costanzo will also be meeting with the Resident Director of Chartwells, the Director of Housing and Student Centers, and the Student Government Association to discuss her campaigns and the matter as a whole. DePaul students have also taken issue with the rebranding of on-campus dining spots. Students have taken to mocking the newly named “Cluck” on DePaul meme Facebook pages, citing it as a less than satisfactory replacement for popular spot Ranch. Despite the negative student response, the updated meal plan will remain for the school year.